Ballad of the Green Berets - Sing Along Music + Lyrics with Sgt. Barry Sadler by Brownielocks. Customize the back of the mug or ornament. 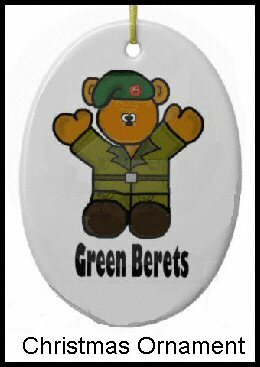 You can now buy our Green Beret Teddy Bear Mug at our Zazzle store! It's available in several cup styles. Just click the other Options button to check it out. These are very strong, durable and well-made mugs. I've purchased one with our Brownielocks logo on it. 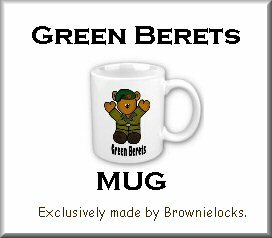 We also offer mugs for all the service branches, as well as a Ghillie Suit Teddy Bear Mug. I did not make the fighting Green Beret animation. It came from Clan McGaming.com as a game promotion. Because I took their soldier, I'm doing a link to their site. This isn't meant to promote a war game, but to respect their artwork copyright.